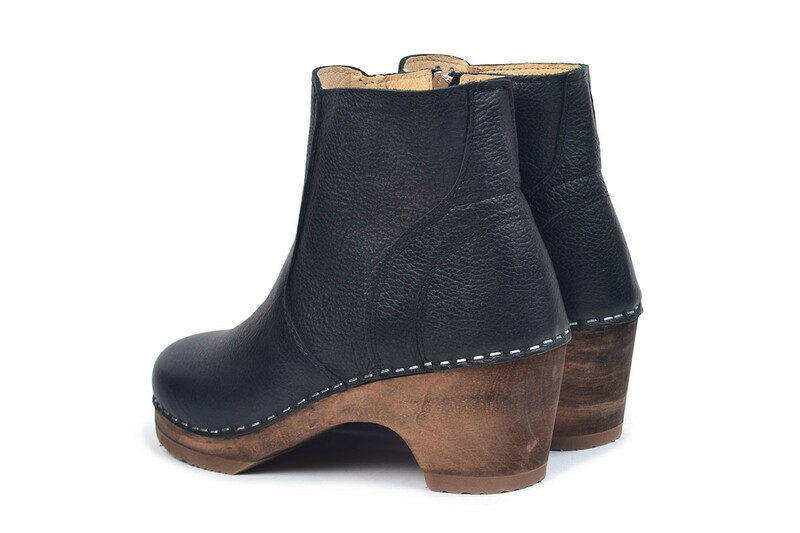 Auckland has a classic boot shape with zipper closure on the inside. 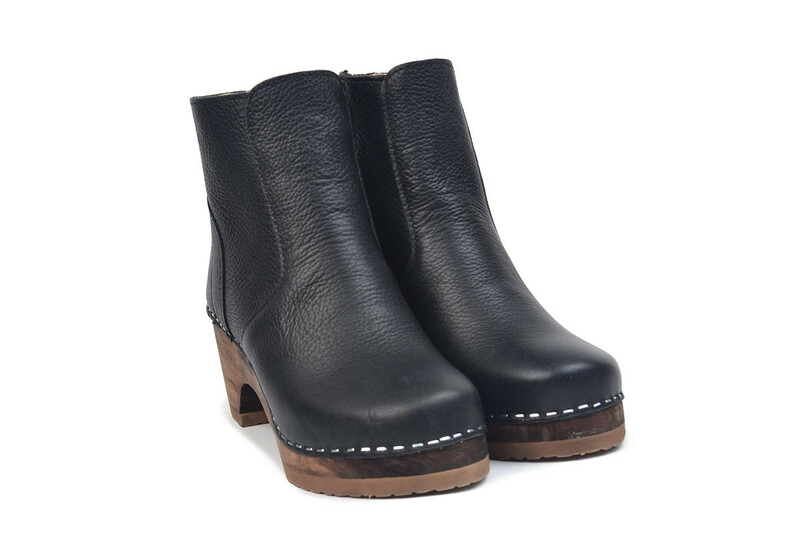 Here in our extra soft black leather and on a brown Low heel. 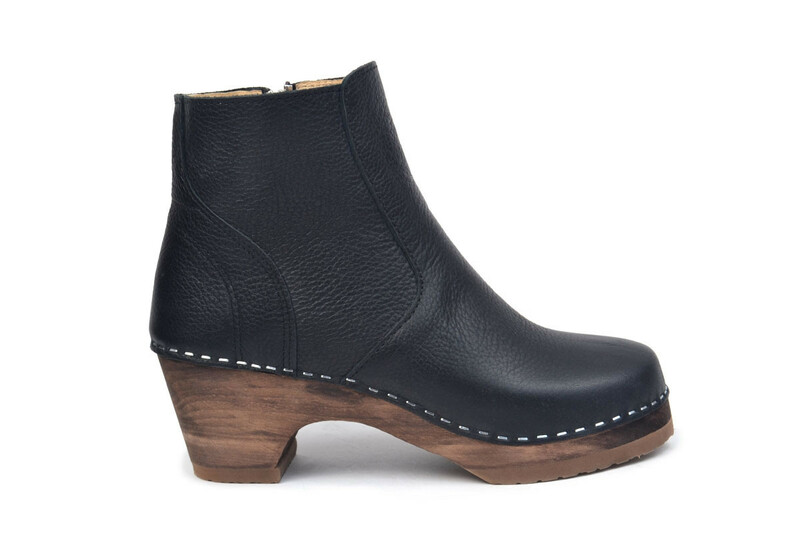 Please note that the Auckland boots are slightly smaller in size so we recommend that you go up one size compared to our normal open-back clog models. 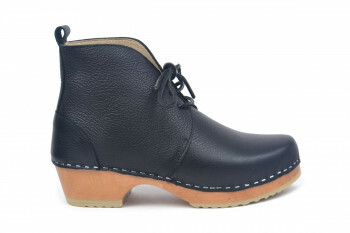 The boots fits a narrow to medium width foot.